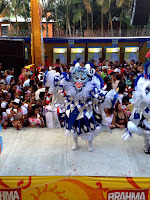 No, Carnaval Vegano does not mean Vegan Carnival, it means Carnaval in the city of La Vega, Dominican Republic. 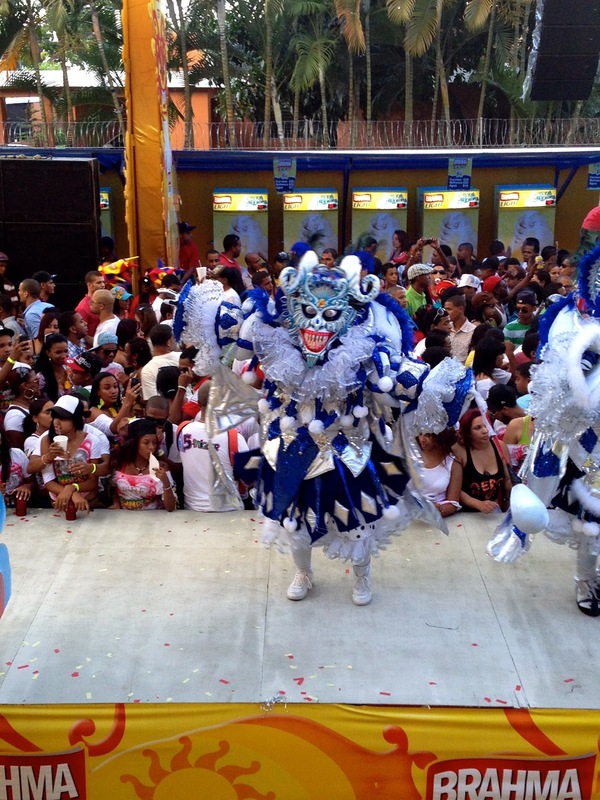 Carnaval is celebrated during the month of February in a few major cities in the DR. Its a celebration, a parade, and an excuse to eat, drink, and be merry while watching people of all ages dance or jump around in elaborate, colorful costumes. You also get to hear some not so great Reggaeton and Dominican rap music for a good amount of hours, and let me tell you, the beats will stay in your head for well after Carnaval is over. If you walk on the main road where the parade takes place, the people dressed in costumes are allowed to smack you (usually on the bottom) with a papaya shaped rubber ball that hangs off a string. A's mom told me that back in the day, instead of being smacked by a rubber ball, they used cow bladders for the smacking! I'll take the rubber ball, thanks. If you don't want to go home full of bruises on your behind, then you must stay on the sidewalk. We only ventured out of our tent and on to the main road for about 10 minutes. I received a painful smack by a little kid, but no bruising, thank God. My coworker on the other hand, spent the day on the street and came in to work the next day complaining about his purple derrière. I can only imagine! Along the main road, companies set up large tents so that invited guests can sit and watch in comfort. A friend of ours is a radio/TV host, and since she was the voice behind the Brahma show, she gave us free VIP tickets. Not only did we spend our day in the VIP tent with unlimited food and Brahma beer, but we got to sit with her during the show in her own private, fenced off area. I'm pretty sure we had the best seats in the city! This was my first carnaval and I hope there will be many more to come. Like in Brazil.. Wishful thinking..
That sounds like so much fun! I wish the US...or at least where I live, had more cultural festivities like this. Nothing like eating, drinking, dancing and just plain ol' being merry...and you got into a private tent to boot, now that's the way to celebrate!! So colorful and does look like heaps of fun! I hope I get to experience it one day. 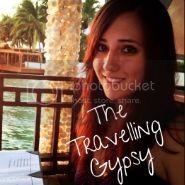 For the moment I'll live vicariously through you! OMG! This is a really colorful post, I love it!